I love all roasted vegetables, especially mushrooms. This recipe is my absolute favorite. Clean and slice mushrooms into halves or quarters. 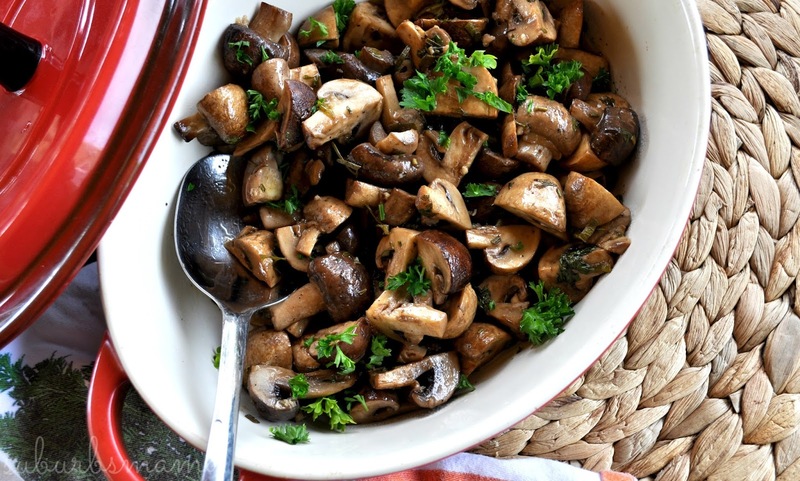 Place mushrooms in large bowl along with olive oil, garlic, salt pepper (to your taste), chopped herbs and balsamic vinegar. Roast for 15 minutes or until reached your desired texture. If you have too much water/liquid just use a slotted spoon to spoon mushrooms into a serving bowl.